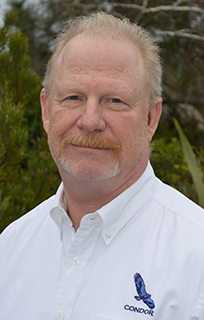 Mr. Lewis has more than 30 years of experience in engineering geology and has served as project manager and principal geologist on slope stabilization projects in the Sierra Nevada and Northern California. He has experience in the exploration, design, construction engineering, and geologic aspects of slope stabilization projects. His specialty is in coordinating and performing field investigations and reports, drawings, and specifications. Mr. Lewis has vast local knowledge and has worked on dam and water resource related projects for TUD, Tri-Dam Project, Calaveras County Water District, Oakdale Irrigation District, South San Joaquin Irrigation District, and many others. In addition, his experience includes construction management and monitoring projects. Mr. Lewis has served as chief site geologist responsible for site investigation programs, site supervision of drilling contractors, geological mapping, data interpretation, definition of remedial action to stabilize difficult foundation conditions, and preparation of summary reports and documentation.